It is estimated that fewer than 80 Spanish settlers lived in the area before 1600, but later prosperity increased due to the use of indigenous and slave labor, and the Jesuit presence in the region. When nearby rivers were tapped as a source of irrigation in 1788 agricultural production increased. The extra revenues generated from this, and the ensuing additional trade with Buenos Aires, no doubt led to the creation of the state of Cuyo in 1813 with José de San Martín as governor. It was from Mendoza that San Martín and other Argentinian and Chilean patriots organized the army with which they won the independence of Chile and Peru. 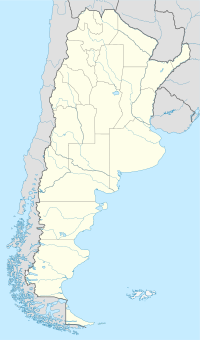 Important suburbs such as Godoy Cruz, Guaymallén, Las Heras, Luján de Cuyo and Maipú have in recent decades far outpaced the city proper in population. Comprising half the metro population of 212,000 in 1947, these suburbs grew to nearly ⅞ of the total metro area of over 1,000,000 by 2015, making Mendoza the most dispersed metro area in Argentina. In 2008, National Geographic listed Mendoza as one of the top 10 historic destinations in the world. Mendoza has a number of universities, including the major Universidad Nacional de Cuyo, as well as University of Mendoza, a branch of Universidad Congreso, Aconcagua University, UTN (Universidad Tecnologica Nacional) and Champagnat University. The city is centered around Plaza Independencia (Independence Plaza) with Avenida Sarmiento running through its center east-west, with the east side pedestrianized (peatonal). Other major streets, running perpendicular to Sarmiento, include Bartolomé Mitre, San Martín, and 9 de Julio (July 9th), those running parallel include Colón, and Las Heras. Four smaller plazas, San Martín, Chile, Italia, and España, are located 2 blocks off each corner of Independence Plaza. Unique to Mendoza are the exposed stone ditches, essentially small canals, which run alongside many of the roads supplying water to the thousands of trees. The public transport system includes buses, the Mendoza trolleybus system, and taxis. The trolleybuses are more comfortable than the diesel buses, but are slower, not as numerous nor is the system as extensive. In 2008, TransLink of Vancouver, British Columbia, Canada, sold most of its old trolleybus fleet to Mendoza. A heritage railway, El Tren del Vino (The Wine Train) is being planned which will also provide local transportation; it will run through wine-producing districts of Mendoza. A new 12.6-kilometre (7.8 mi) light rail line, the Metrotranvía Mendoza, opened for regular service in October 2012. and serves five areas of the Greater Mendoza conurbation. The line runs from Estación Central [es] (at the site of the former intercity passenger train station, near the city centre) south to Maipú. The bright red railcars, Siemens-Düwag U2 models, were purchased from the San Diego Metropolitan Transit System (MTS) of San Diego, California, USA in 2010. They were built in 1980. Mendoza's development was helped partly due to its position at the start of the Transandine Railway linking it to Santa Rosa de Los Andes in Chile. The only railway operable between Argentina and Chile, after many years of inactivity, it remains currently abandoned. Argentina's Malbec wines originate from Mendoza's high-altitude wine regions of Lujan de Cuyo and the Uco Valley. These districts are located in the foothills of the Andes mountains between 2,800 and 5,000 feet elevation. Seven Years in Tibet, directed by French director Jean-Jacques Annaud, was shot in and around Mendoza. Several dozens of sets were built, ranging from a 220-yard (200 m) long recreation of the Tibetan capital city of Lhasa (built in the foothills of the Andes), to a 9,000-square-foot (840 m2) recreation of the Hall of Good Deeds in the Potala, the ancient palace of the Dalai Lama (built in an abandoned garlic warehouse outside the city). ^ "SIMA: Spanish in Mendoza Argentina". Spanishinmendozaargentina.greenash.net.au. Retrieved 2013-03-26. ^ "Barrio la gloria by Estudio Rodante". El Viento. 3:02 minutes in. Radio Comunitaria. ^ Catena, Laura (2010). Vino Argentino, An Insiders Guide to the Wines and Wine Country of Argentina. Chronicle Books. ISBN 978-0811873307. ^ Rolland, Michel (2006). Wines of Argentina. Mirroll. ISBN 978-9872092634. ^ Wine Tours: Argentina – Mendoza Archived 2011-01-12 at the Wayback Machine, "Fly Fishing Patagonia"
^ Malbec wines have rich history and flavor, "Argus leader"
^ a b c d e f "Clima" (in Spanish). Municipalidad de la Ciudad de Mendoza. Retrieved October 6, 2015. ^ a b c "Mendoza AERO Climate Normals 1961–1990". National Oceanic and Atmospheric Administration. Retrieved March 29, 2015. ^ a b "Mendoza (Aero), Mendoza". Estadísticas meteorológicas decadiales (in Spanish). Oficina de Riesgo Agropecuario. Retrieved June 11, 2015. ^ a b "Estadísticas Climatológicas Normales - período 1981-2010" (in Spanish). Servicio Meteorológico Nacional. Retrieved January 21, 2018. ^ "STATION Mendoza" (in French). Météoclimat. Retrieved June 11, 2015. ^ "Clima en la Argentina: Guia Climática por localidades". Caracterización: Estadísticas de largo plazo (in Spanish). Servicio Meteorológico Nacional. Retrieved 23 April 2018.